Paradigm is a Canadian manufacturer of high-end speakers and other audio components that has been in the game for over 30 years. When my editor told me they were about to send a subwoofer my way for review, I was thrilled, as I've always been fond of Paradigm's engineering and sound quality, not to mention the fact that I happen to own a few of their products. The Monitor SUB 12 ($999) is the flagship in the Monitor Series, which also includes the SUB 8 and SUB 10, all three of which feature Ultra-Class D amplification and USB inputs for use with Paradigm's Perfect Bass Kit. 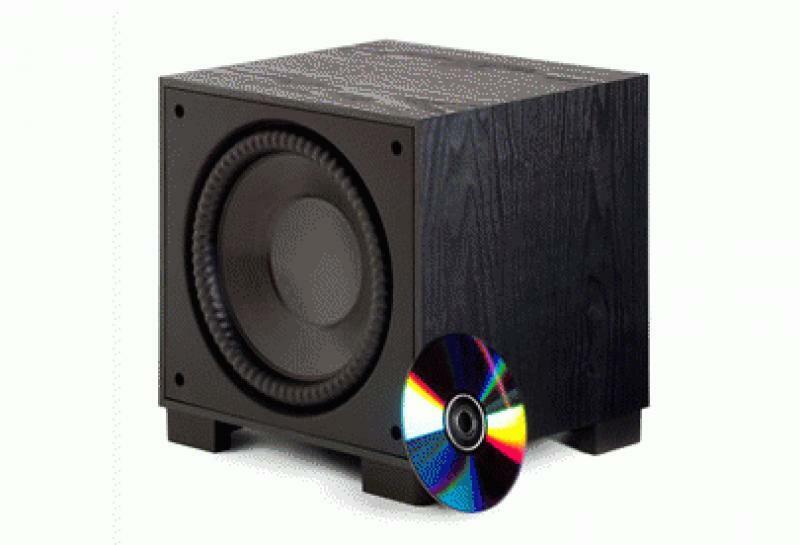 • Read more subwoofer reviews by the staff at HomeTheaterReview.com. • Explore Floorstanding Speakers and Bookshelf Speakers to pair with the sub. • Explore preamps in our AV Preamplifier Review section. The Monitor SUB 12 is fairly compact, when you consider the fact that it's housing a 12-inch, carbon-loaded polypropylene cone and a 900-watt amp (300 watts continuous), measuring just over 15 inches high by 13 inches wide and 14.5 inches deep. It weighs a manageable 33 pounds and, thanks to the Perfect Bass Kit, placement options abound. One of my favorite manufacturing trends is trickle-down technology, which is something Paradigm has fully embraced with the Monitor Series. Specifically, the NLC• non-limiting corrugated Santoprene surrounds on the cone, which help the cones move more air, have trickled down from Paradigm's Signature Series. More air equals more bass and more bass equals more fun. Did I mention this beast goes all the way down to 16Hz? The back plate offers the usual assortment of subwoofer features, including controls for volume, crossover frequency and phase. 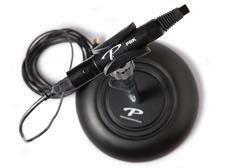 As part of this review, Paradigm also sent me their Perfect Bass Kit ($99) and PT-2 Wireless Transmitter ($149). The packaging on the Monitor SUB 12, as well as the PT-2 Wireless Transmitter and Perfect Bass Kit, was adequate and allowed everything to show up intact. The design of the Monitor SUB 12 can accurately be described as minimalist, which is good for getting it past a discerning wife. This said, the grille is removable. The Monitor SUB 12 looks much more menacing without it, thanks to those corrugated surrounds on the cone. I connected it to my current reference system, which consists of the Cary Cinema 12 processor, an Integra DTA-70.1 multi-channel amp, an Oppo BDP-93 Blu-ray player, a Cambridge Audio DacMagic, a MacBook Pro and a Music Fidelity V-Link USB to S/PDIF converter. All of the cabling came courtesy of WireWorld. I spent about 24 hours breaking in the Monitor SUB 12 and then started digging for the proper source material to test Paradigm's claims of low-frequency prowess. For my initial listening tests, I skipped the PBK and wireless transmitter in order to gauge the sub's out of the box performance. Read more about the performance of the Paradigm Monitor SUB 12 system on Page 2.